As summers are around the corner, it brings sunny morning, bright noon, breezy evenings and balmy nights. One of the best ways to welcome summers is to create a soothing vibe around your home. You can do this by making small changes in your home. Summers call for bright, playful, floral and vibrant décor around you so, we have decided to have a rundown of some playful summer home décor items for you. 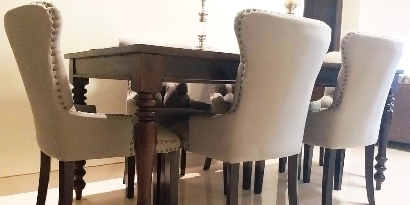 So, tweak in your décor style and welcome summers by some summer- trendy home décor items. What’s better than summer season to bring some green into your home and some forever flowers to wipe the winter blues. Having flowers around your home can create a soothing effect in the heat of summers. 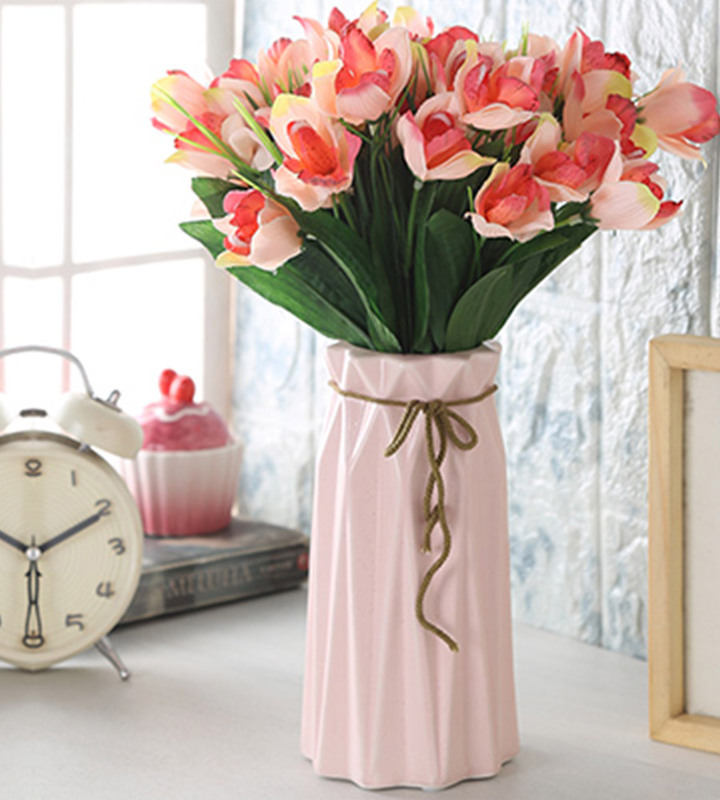 So, you can buy artificial flowers online, put it in a stylish vase or planter. Our recommendation is to go for white flowers this summer. Summers allow you to play with more fun and vibrant colors in your home décor. And there is nothing better than cushion cover to cheer up your home décor whether it is of your bedroom or living room or anywhere. Cushion covers are the most versatile piece of soft furnishing. 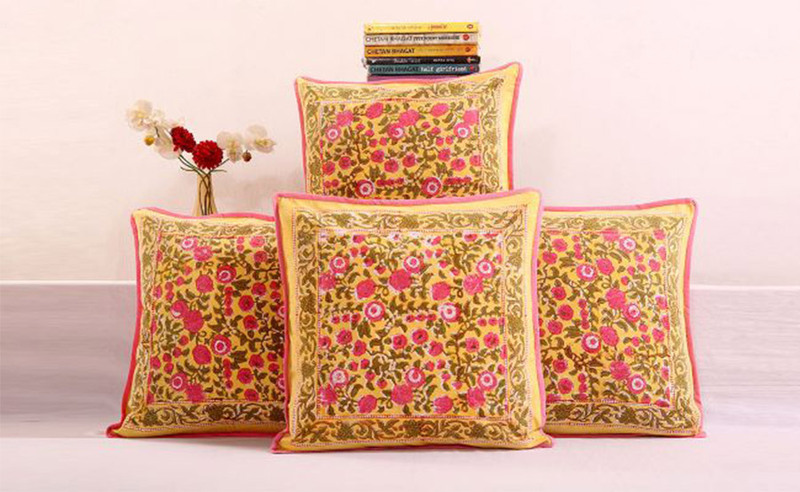 In this category of cushion cover design, you can go for the cotton floral pattern cushion covers which you will get easily from Wooden Street. P.S: Cotton is cool and comfortable fabric. The best thing about this fabric is it will stand the test of time. Next up is another piece of soft furnishing which is a bed sheet. It plays a major role in keeping you cool in the heat of summers. You may have a troublesome night in summers if the bedsheets are not of a comfortable material. So, go gaga over cotton bedsheets! 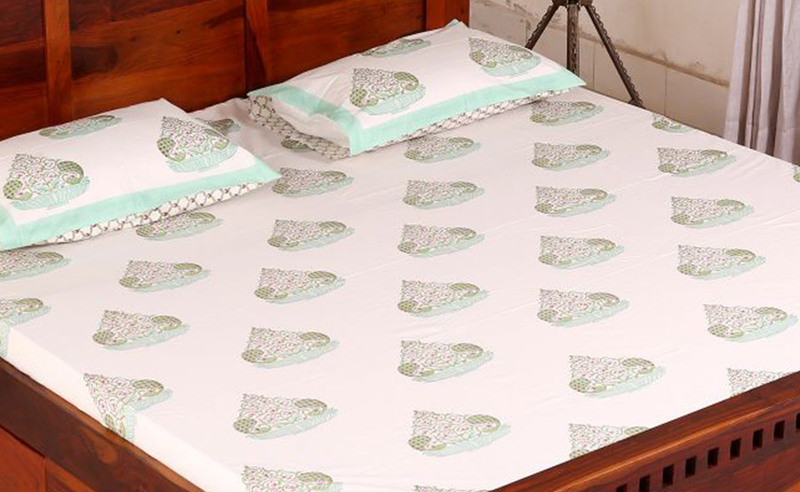 At Wooden Street, you will get the bedsheets in cotton. Whether it is white hue or floral patterns, we have bedsheets fom king size to single beds size in various soothing patterns. This is the one piece of furniture which you can be included in the balcony, on the terrace and in the living room also. People are so fond of swings for home nowadays which makes the comeback of swings in the list of stylish home décor items. 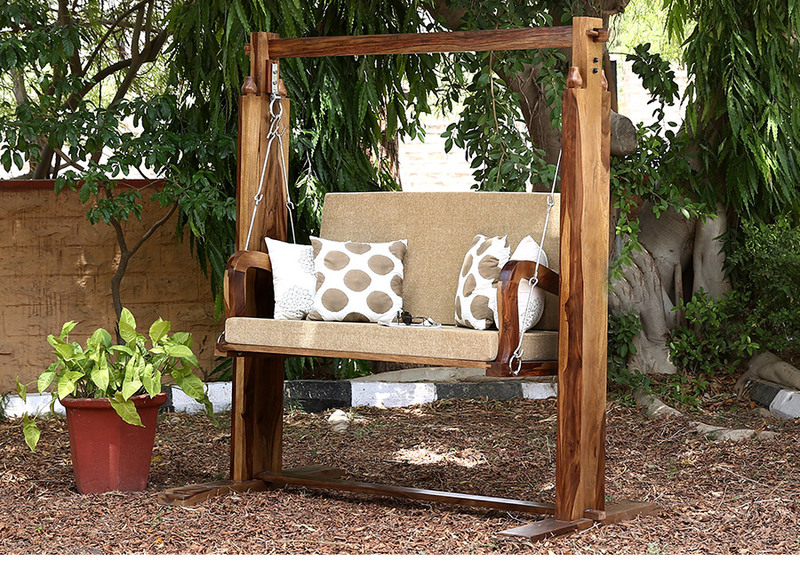 At Wooden Street, you will get the wooden swings and that too in the solid wood which assures you safety, sturdiness. P.S: Swings promise to give you relaxing and fun vibes in summers. So, go and bring it. In the heat of the summers when we see flowers around us, these participate a lot in giving us a soothing feeling. But, we cannot use fresh flowers or forever flowers every time or every day. And that’s where we need floral print in our furniture. 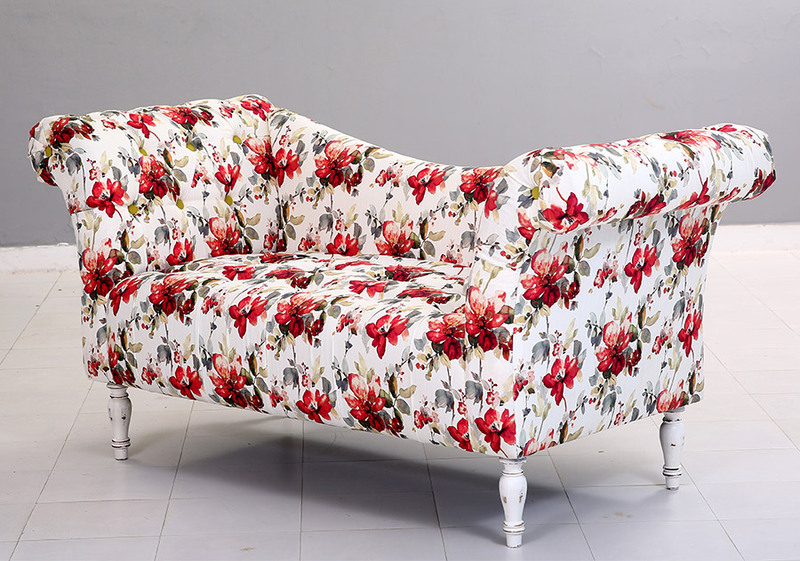 Furniture with floral fabric can make our décor vibrant and playful. 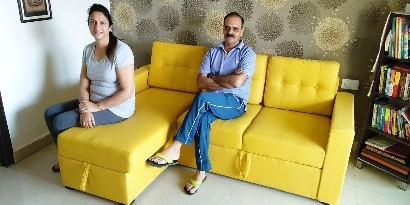 Tip: If you don’t want to go for floral furniture, you can also go for solid but bright colors like yellow, sky blue and many more such colors which can add the perfect pop of color to your décor. 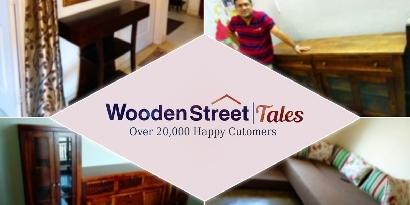 So, these were some of the home décor items by Wooden Street for summers 2019. You will get all these products on our website www.woodenstreet.com. Even you can customize them according to your specific requirements.